Getting ready to turn 65? Or are you preparing to retire? Whether you’re new to Orange County Medicare, you’ll need to make several important decisions about your health coverage. We have gathered all the information below so you can make informed decisions about the kinds of Medicare health coverage that best fit your needs. At California Insurance Finder, we want you to have access to understandable information about Medicare to help you make the best choices for you and your needs. We hope you find this quick summary helpful. Medicare pays a fixed amount each month to the insurers that provide Medicare Advantage coverage. The insurers, in turn, must adhere to the rules dictated by Medicare. Each plan, though, can charge different out-of-pocket costs and have different guidelines for how you get services, like requiring a referral to see a specialist. Medicare is known as a federal health insurance program that pays for a variety of health care expenses. The main beneficiaries of Medicare insurance are typically senior citizens aged 65 and older, people with certain approved medical conditions or qualifying permanent disabilities such as kidney failure. The Centers for Medicare & Medicaid Services or CMS is the federal agency that administers the Medicare program. This program is in part funded by Social Security and Medicare taxes you pay on your income. It is also partially funded through premiums that people with Medicare pay, and partially funded through the federal budget. Who is Eligible for Medicare in Orange County, CA? You are age 65 or older and qualified for Social Security Disability Insurance (SSDI) or Railroad Retirement benefits. You are 65 or older and married to someone eligible for Social Security Disability Insurance (SSDI) or Railroad Retirement benefits. 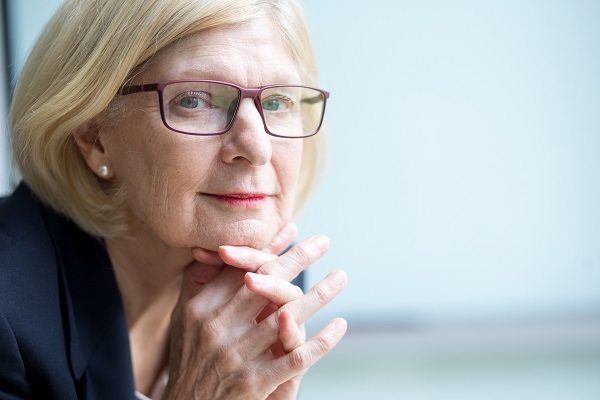 You are younger than age 65 with a disability and have received Social Security Disability Insurance (SSDI) or Railroad Retirement benefits for 24 months. You’ve been receiving Social Security disability benefits for at least 24 months. You have permanent kidney failure (End-Stage Renal Disease) and require dialysis or transplant. You have Amyotrophic Lateral Sclerosis (ALS), also known as “Lou Gehrig’s disease”. Once you’ve become eligible for Medicare, you can now choose which type of Medicare program that best fit your needs. There are different parts of Medicare program to help cover specific services. They are often referred to as Part A, Part B, Part C, and Part D. It is important to understand each of the Medicare parts and to pick your coverage carefully. How you choose to get your benefits and who you get them from can affect your out-of-pocket costs and where you can get your care. Below is a rundown of what each part is about. Original Medicare is the traditional low-cost health insurance that is managed by the federal government. Original Medicare provides eligible individuals with coverage for and access to doctors, hospitals, or other health care providers who accepts Medicare. It pays its share of an agreed amount up to certain limits, and the person with Medicare pays the rest. Medicare Part A (Hospital Insurance) and Medicare Part B (Medical Insurance) are often referred to as Original Medicare. Let’s talk about Original Medicare, what it covers, and what it doesn’t. Medicare Part A covers inpatient hospital stays, care in a skilled nursing facility, hospice care, and some home health care. Generally, if you or your spouse paid taxes into Medicare while you were working (at least 10 years), you’re eligible for premium-free Part A. You don’t have to pay a monthly premium to receive coverage under this part of Original Medicare. Otherwise, you pay a monthly premium to receive this coverage. Medicare Part B covers certain doctors’ services, outpatient care, medical supplies, and preventive services. It also pays for routine care, including mammography and Pap tests. Part B beneficiaries pay a monthly premium for this part of Original Medicare, which can be obtainable for people with high incomes. However, for low-income beneficiaries, a different government program called “Medicaid” can help cover Medicare Part B premiums. Medicare Part C, or Medicare Advantage Plan, is a type of Medicare health plan offered by a private company that contracts with Medicare. It often includes every type of Medicare coverage in one health plan. Medicare Part C provide all of the Part A and Part B benefits and more such as vision, hearing and dental coverage, plus wellness programs. Most plans also include coverage for Medicare Part D.
Enrolling into a Medicare Advantage plan is optional. However, to obtain this private insurance you must also have Original Medicare, Part A and Part B. You may also have to continue to pay your Part B premium if you have a Medicare Advantage plan. Medicare Part D, or Prescription Drug Plan, is provided and coordinated by Medicare-approved private insurance companies. Medicare Part D is available as a stand-alone prescription drug plan, and the monthly fee varies among insurers. Beneficiaries can sign-up for Medicare Part D if they are eligible for Original Medicare and permanently resides in the service area of a Medicare Prescription Drug Plan. Although Medicare Part D coverage is optional, it’s still best if you enroll as soon as you’re eligible to avoid late-enrollment penalty if you enroll later. Medicare Advantage Prescription Drug Plan may also offer prescription drug coverage. For those who have limited income and cannot afford medications even though they receive Medicare Part D benefits, they may qualify for the Extra Help program, which offers financial assistance for the monthly premium, deductible, copayment, or coinsurance. When Can You Apply for Medicare While Living in Orange County? There are only specific times when people can enroll in Orange County Medicare. Some people may get Medicare automatically, depending on the situation, while others need to apply. The first time you enroll for Medicare is called your “Initial Enrollment Period”. Your 7-month Initial Enrollment Period usually begins 3 months before the month you turn 65. It may also include the month you turn 65, and ends 3 months after the month you turn 65. You may have to pay a Part B late enrollment penalty if you don’t enroll when you’re first eligible. 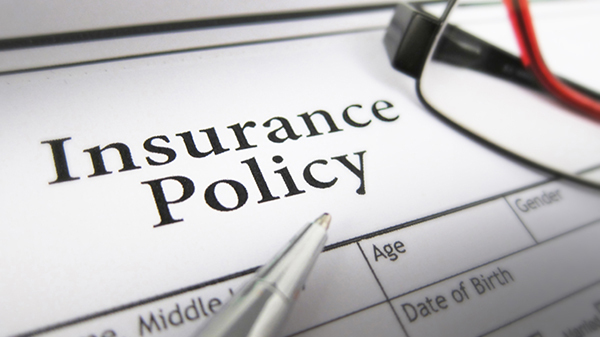 Moreover, you may have a gap in coverage if you decide you want Part B later. Medicare and Medicaid are both federal healthcare programs. However, there are some major differences between the two including who runs them, who qualifies for them, how much users pay and what services they cover. Medicaid is also a federal program that is managed separately by each state. It covers low-income people who do not have the financial means to afford healthcare. Medicare applies to everyone who has paid into the system and reached the point of eligibility. Medicare aims to address the problem of the elderly having high medical bills, but increasingly limited means, while Medicare recipients pay into Medicare through payroll or self-employment taxes. It’s possible to qualify for both at the same time, but each program has its own set of requirements. That means you won’t be able to enroll in one just because you qualified for the other. Medicare in Orange County California – How is it different? The fact that California is the state with the highest population, is probably no surprise that it also has the most Medicare beneficiaries. Check the following statistics to learn more about Medicare in California. 5,601,363 – Total number of Medicare beneficiaries in California. 2,354,920 – Number of Medicare beneficiaries in California who are enrolled in a Medicare Advantage Plan. 3,246,443 – Beneficiaries of Medicare in California who enrolled in Medicare Part A and/or Part B. 4,295,432 – California beneficiaries enrolled in Medicare Part D.
California Medicare Savings Programs: You may qualify for help paying your Medicare Part A or Part B premiums depending on your income. There are also programs that help pay for some of your prescription costs, but your income has to be below a certain limit to qualify. 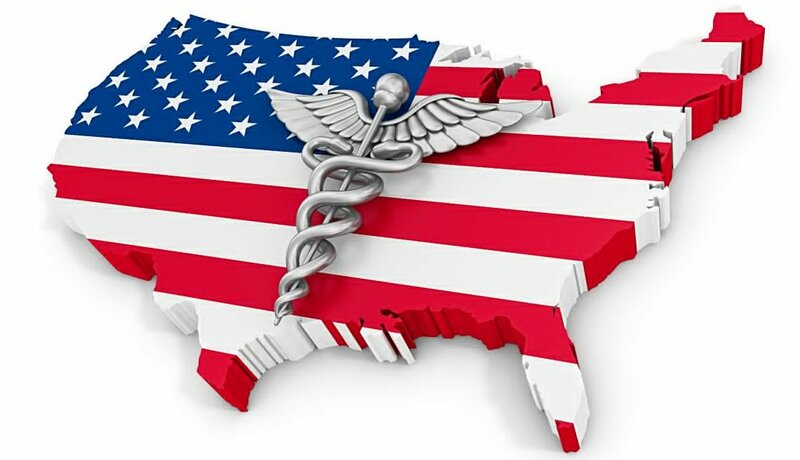 California State Health Insurance and Assistance Program (SHIP): This is a federal grant that provides funding to each state to help create programs to assist beneficiaries in better understanding Medicare. The SHIP grant supports the Health Insurance Counseling and Advocacy Program (HICAP) in California. HICAP offers one-on-one counseling for Medicare beneficiaries and also provides information on Medicare plans, benefits, and prescription drug plans in California. You must be either a United States citizen or a legal permanent resident of at least 5 continuous years to be eligible for Medicare. Applying for Medicare in California is the same as any state; through the Social Security Administration (SSA) in person, on the phone, or online. Do you have more questions about Medicare in Orange County California? Connect with any of our licensed insurance agents at California Insurance Finder to answer your Medicare questions or discuss a Medicare plan option that may be right for you. More than three out of 10 people covered by Medicare are enrolled in a Medicare Advantage plan, according to a recent report in the Milwaukee Journal Sentinel. Nationally, the article continues, enrollment in Medicare Advantage plans has tripled since 2005, and it’s continuing to increase. The appeal: Medicare Advantage plans are more comprehensive in their coverage than Medicare and their premiums tend to be lower than stand-alone Medicare prescription drug plans combined with Medigap or other supplemental insurance. The drawback: Some Advantage plans have limited networks and they can carry higher out-of-pocket expenses. Medicare Advantage plans, sometimes referred to as Part C, are offered by private insurers that contract with Medicare to provide all of the Part A and Part B benefits. Most also offer prescription drug coverage. Most Medicare services are covered through the Advantage plan and aren’t paid for under Original Medicare. In turn, you can’t be enrolled in both a Medicare Advantage Plan and Medigap or another supplemental insurance. You don’t have End-Stage Renal Disease. To discuss whether a Medicare Advantage plan is the right fit for you, contact us today. California Insurance Finder specializes in finding affordable medical health plans in California that meet the needs of our clients.